In the story ‘JoJo Gnome & the Smell of Christmas’ we find out how much JoJo Gnome loves Christmas time. 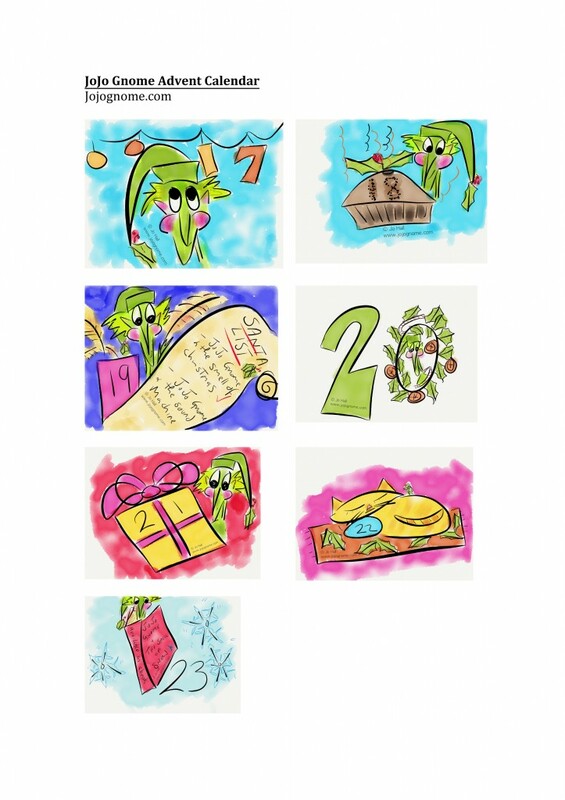 Help him countdown to Christmas by making your very own JoJo Advent Calendar. Remember you can catch up on lots of JoJo Gnome stories by downloading JoJo Gnome’s Story Podcast. You can also buy JoJo Gnome story books from his Etsy shop. 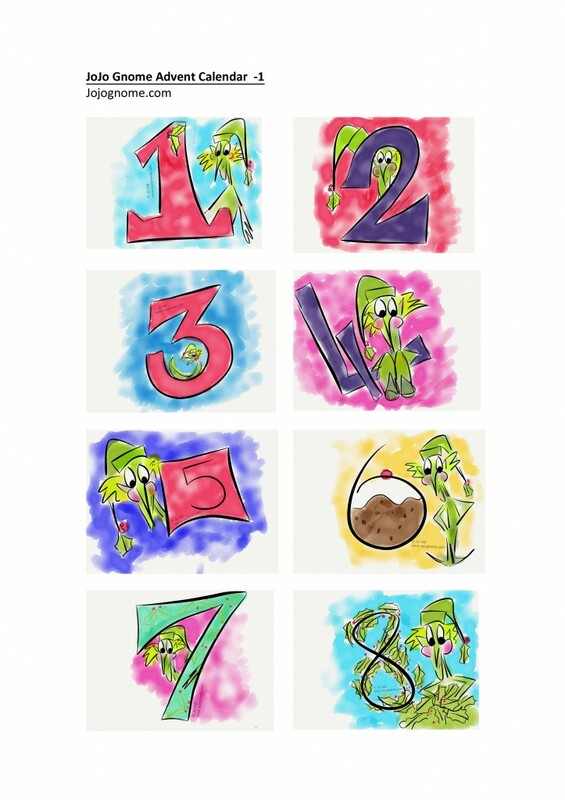 – Printed off JoJo Gnome calendar sheets (see below). – Glitter if you dare. 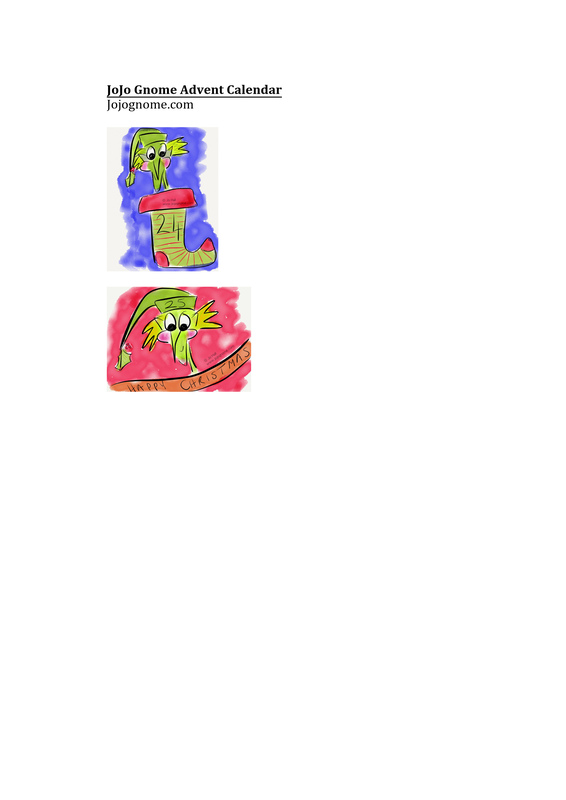 Print off the JoJo Gnome calendar sheets & cut them out. 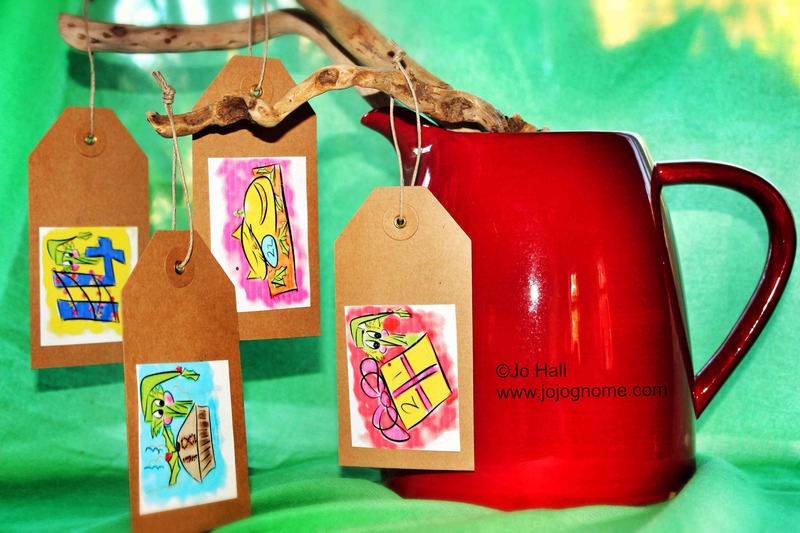 Stick them on the labels or card with glue and allow to dry off. This is the point to add glitter to decorate if you are brave. I would use glitter glue which is less messy. Allow to dry fully. Cello tape a small candy cane or sweetie to the reverse side of the label. Hang either from twigs or from a piece of ribbon. Healthy Option – For a healthier option instead of having sweets on the labels you could have some Christmas jokes or Christmas challenges (sing Jingle Bells at least 3 times today). 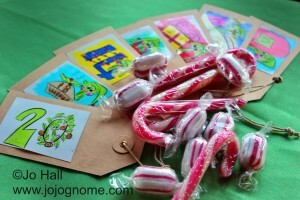 Christmas Boxes – If you want to make the Christmas treats bigger stick the pictures onto a small box. 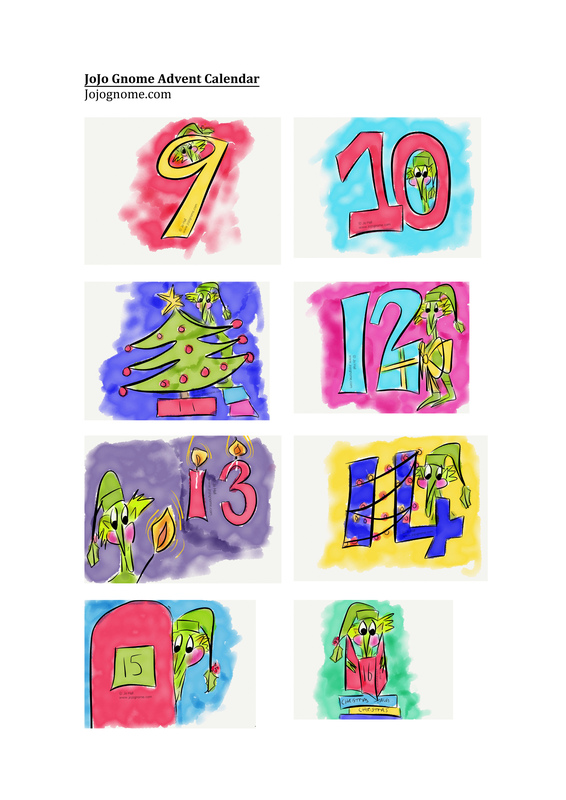 Christmas Gnome Hunt – Laminate the small drawings and hide them in the house or round the garden. Each number could mean a small prize!